This initiative provides an opportunity to study the quality of the night sky of the Macaronesian islands. Specialized instruments will be installed to measure the brightness of the sky. In this sense, the LPI Photometer network of STARS4ALL will be used, thus allowing to increase the number of nodes in the network that is proposed to establish and sweeping, in addition, a complicated area such as the European outermost territories and Northwest Africa. The places where each one of the photometers is to be installed have been previously studied, having already established contact with the entities or facilities in which they would be located. 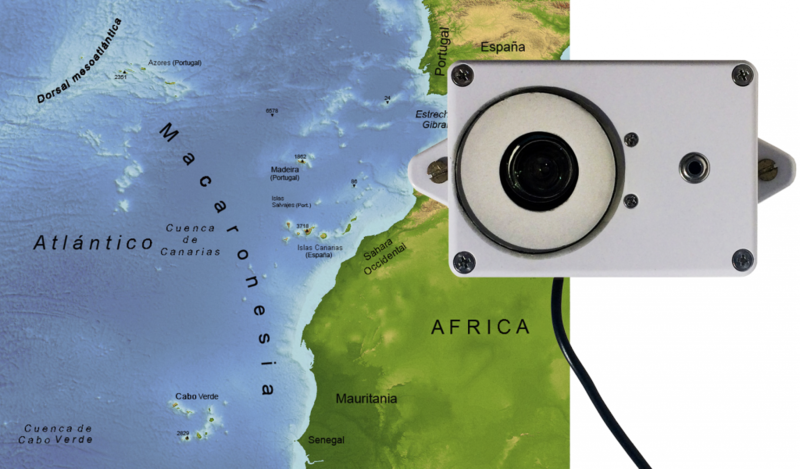 Therefore, the Instituto de Astrofísica de Canarias, the Universities of Madeira, Azores and Cape Verde, as well as the help of local astronomical groups and teaching centres in those places where the network is unstable, have accepted the photometer. In this way, the aim is not only to make young students aware of the importance of protecting the sky, but also to introduce them to the research work, allowing public access to all the data taken with the photometers on the project blog, thus creating a database that can be very useful for the different lines of research whose object of study is located in this region, not only in the field of astronomy, but also in that of biology, ecology and biodiversity.